I have been selected as an operator by the Vimy Commemorative Station Society and will be travelling to Vimy, France, along with my wife, Cassandra McBride, VA3MEW, to operate from the Canadian National Vimy Memorial in April of 2017, to mark the 100th anniversary of the taking of Vimy Ridge by the Canadian Armed Forces during World War I. The Society will be operating two stations 24 hours a day between April 1st and 9th, 2017 using the callsign VE100VIMY. Modes will include SSB, CW and RTTY, and all bands between 160m and 10m will be attempted. Efforts will be made to ensure the maximum number of contacts with Canadian Amateur Radio stations are made. 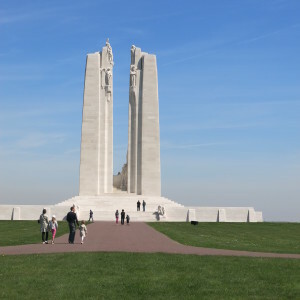 This will be the first time since the end of World War I that shortwave/HF signals will be heard from Vimy Ridge. As a Canadian, I am honoured and thrilled to be a part of this historic event. That’s great news. I’m looking forward to contacting the Vimy station in April. Good luck!